The 691 acre Bayard Cutting Arboretum was the former home of William Bayard Cutting. Now a New York State Park, the intent is to fulfill the donor’s request “to provide an oasis of beauty and quiet for the pleasure, rest and refreshment of those who delight in outdoor beauty; and to bring about a greater appreciation and understanding of the value and importance of informal planting.” Utilizing plans conceived by the noted landscape architectural firm of Frederick Law Olmstead, the arboretum development was begun in 1887. The site was originally wooded and many of the large oaks now seen were retained during the clearing of the land. With the cooperation of Charles Sprague Sargent, then director of Boston’s Arnold Arboretum, Mr. Cutting several years later began to plant his conifer collection. The current collection of fir, spruce, pine, cypress, hemlock, yew and other lesser known conifers is one of the most extensive to be found in the United States. This important collection contains trees which, regionally, are the largest of their species. Also found are extensive plantings of dwarf evergreens, rhododendron, azaleas, hollies and oaks. The Holly Walk was named by the Holly Society of America as “an official Holly Arboretum”, containing sixty species of Ilex and nearly 150 cultivated varieties. 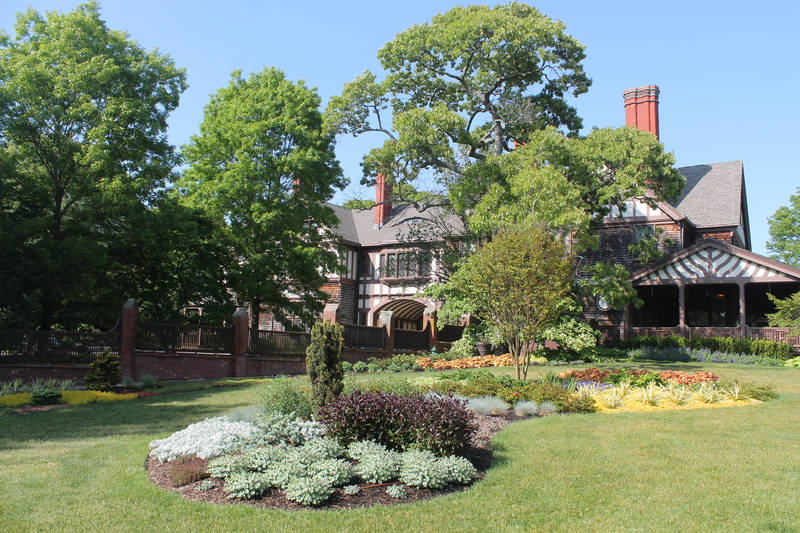 Oak Park, part of the property’s original Olmstead design, contains 32 species of oak trees. In addition, perennial borders, woodland trails, coastal gardens, natural wetlands, and forest can be found in the arboretum’s vast acreage. Horticultural Interns will work in all areas of the Gardens and participate in a wide range of horticultural experiences. Daily activities will involve working directly with the garden’s staff, assisting with planting, watering, weeding, pruning, mulching and overall daily garden maintenance. Typically, interns will rotate around the arboretum working in each of the collections: Holly Collection, Perennial Garden, Woodland Garden, CSA Farm, Pinetum, Westbrook Walled Garden, Conifer Garden, Special Projects, and General Grounds. Interns will gain hands on experience stressing plant identification, garden maintenance strategies and sound horticultural practices. Through almost weekly field trips, interns will visit other gardens, nurseries, and research facilities. Fieldtrips will stress the many different career options in horticulture, giving interns the opportunity to network with interns from other gardens and people within the professional community. Interns will be encouraged to design and complete a season long project in their area of interest. Projects will be done under the advisement of a staff member. Interns should be prepared to work outdoors in varied weather, including rain and heat. Horticultural internships are open to anyone interested in a career in horticulture, with preference given to those pursuing a degree or who have completed a degree in horticulture, or a related field. Limited housing maybe available on site.